Alfredo is a U of A graduate in Public Administration. 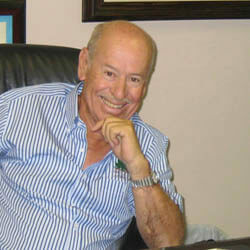 He is a former congressional aide to then US Senator Dennis DeConcini of Arizona. 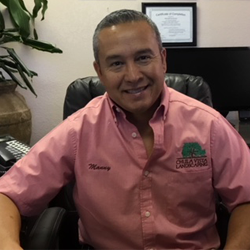 Alfredo is Chula Vista Landscaping® founder and presently its CEO. Over 27 years working for Chula Vista Landscaping® creating an office team that meets the needs of our clients, addresses their concerns, and assures that the work is completed in a timely manner. With the assistance of her office staff, she has created one of the best response procedures in the industry. From emergencies to everyday concerns you will receive a live response 24 hours a day, 7 days a week. 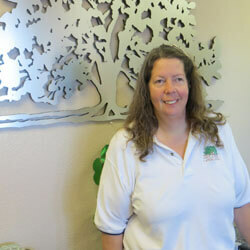 As the President, Ms. Sanchez brings first hand knowledge in all aspects of landscape maintenance. She has been known to go out in the storm to secure a site to limit liability to our clients, inspects problem properties to assure our crews are meeting our landscape expectations, identifies problems with plants or grass to be pro-active in avoiding loss of plants, and can identify irrigation issues. Manny’s remarkable work ethic and extraordinary horticulture background has made him climb the ladder of success with impressive speed. He is presently the Vice President/General Manager in charge of bidding, purchasing, and crews’ supervisor. 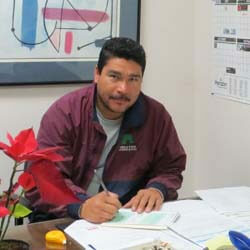 Manuel holds the Qualified Applicator Certification (QP) for Chula Vista Landscaping. He also holds a pesticide applicator’s license and has taken horticulture courses sponsored by the University of Arizona. He presently teaches a class in personal safety and horticulture at our Chula Vista Training School. Greg is our Special Projects Coordinator and manager of our construction and tree division. He has worked for Chula Vista since 2008. Greg brings with him an impressive horticultural background. He studied landscape and management design at Pima Community College. He holds a Smartscapes ACLP certification. He is also Pesticide Applicator certified by the State of Arizona. Gregory’s extensive knowledge in horticulture cannot be underestimated. 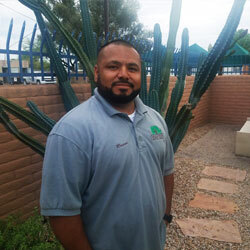 Eusebio’s irrigation experience began by working as an irrigation installer for four years for a reputable Tucson construction firm before coming to Chula Vista Landscaping®. 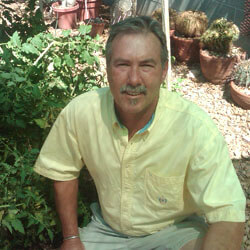 Eusebio acquired most of his irrigation knowledge on the job as an irrigation technician for our company since 2009. Today, he is an excellent technician that can replace or repair anything that has to do with automatic irrigation systems. There is no limitation as to what Eusebio can do. She has worked for Chula Vista since 2008. Robin brings with her an extensive knowledge of scheduling, computers, and customer service. Her knowledge in landscaping continues to build daily as she googles her way to understanding every aspect of the business. Robin approaches problems by finding solutions. She is an all around team player and does whatever needs to be done. As our Yard Supervisor and Lead Mechanic, he brings with him an extensive knowledge of internal combustion repair systems. Ramon is also certified as a Brake and Air Conditioning Repair Technician and is in charge of repairing everything from two cycle engines to full size diesel trucks as well as John Deere and Case tractors. He can rebuild an engine, replace a transmission, repair a hydraulic system; complete body work and painting as well as making his own creative designs in welding. Ramon is the complete “team player” and is willing to jump into any field and get the job done. Well… except the office!! ©Copyright 2013-2018, Chula Vista Landscaping®. All Rights Reserved.